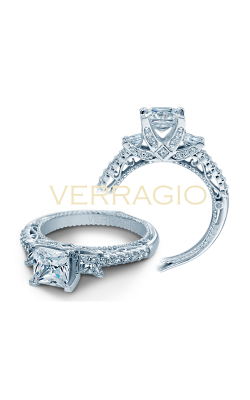 An engagement ring is meant to symbolize love—and what better way to show your love than with three stones rings? 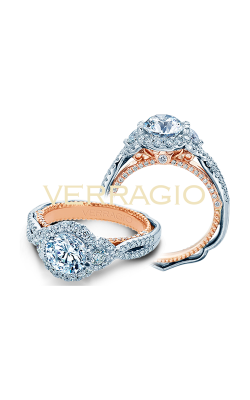 Though the engagement ring is typically thought of as a single stone gem, three stone rings have grown increasingly popular. Featuring three sparkling diamonds set atop a band of precious metal, three stone rings offer a little bit more shimmer and are the perfect choice for those who want more than a simple solitaire. Each of the three radiant diamonds in a ring of this style can represent something new: your memories together, your lives together, your future together. 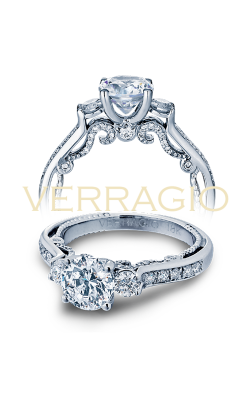 At Medawar Jewelers in Michigan, the three stone engagement ring you’ve been seeking to symbolize your love awaits. 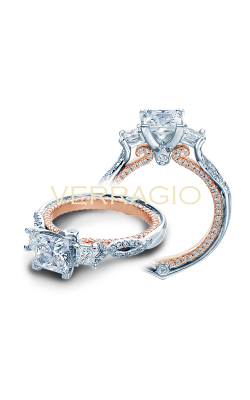 With three different diamonds, the choices are endless: you don’t have to choose a single stone or a single diamond shape. 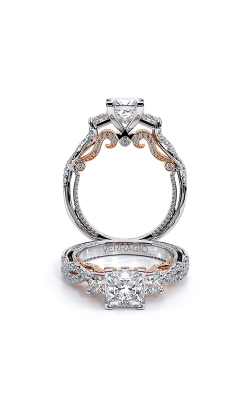 Three stone rings are the perfect combination, blending round cut diamonds with half-moons, emerald cuts with ovals, and so many more different options. 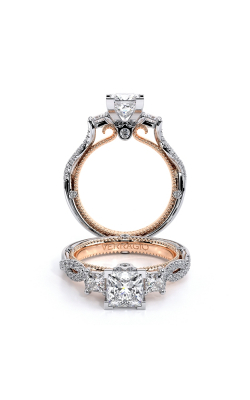 Medawar Jewelers offers a selection of three stones engagement rings that’s always expanding, including everything from traditional to modern and all that’s in between. 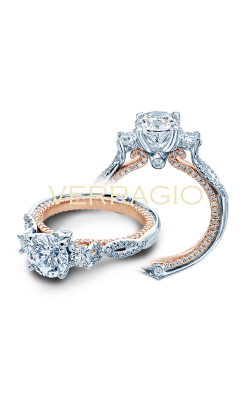 With selections by renowned jewelry designers including Verragio, Parade, and Kirk Kara as well as others, Medawar Jewelers provides authentic and incredible engagement ring choices. 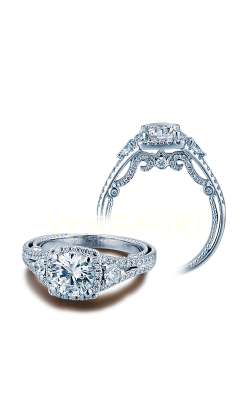 Three stones rings come in such a vast variety that there can appear to be countless options. Some are more classic in their style, such as the A. Jaffe Classics rings that feature three beautiful diamonds in a simple setting. 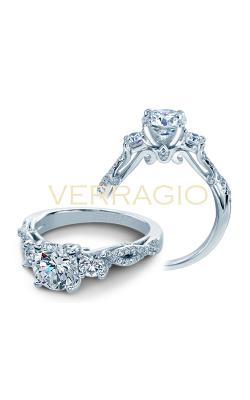 More intricately detailed and dramatically stunning three stone engagement rings like those found in the Kirk Kara Charlotte Collection with sapphires and a blend of diamonds or the Parade Lyria Collection adorned with leaves and a nonlinear stone setting make for incredible and unique statements of love. No matter the three stone engagement ring that captures your or your bride-to-be’s attention, Medawar Jewelers offers an enjoyable and welcoming shopping experience. Over the past 80 years, Medawar Jewelers has built a legacy of renowned watches and high-quality jewelry for every occasion. From engagement rings to wedding bands to fashion jewelry, customers can find everything and more at Medawar Jewelers. 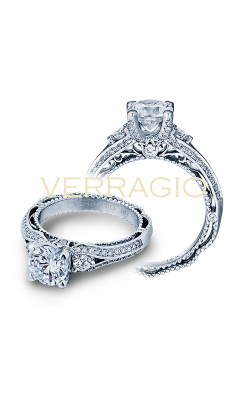 Family owned and operated still today, we provide heirloom jewelry with a one-of-a-kind shopping experience. 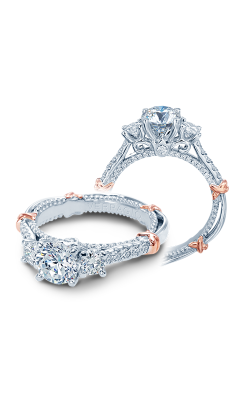 Medawar Jewelers offers locations in West Lansing, Okemos, Jackson, Portage, and Brighton to serve customers throughout Michigan who seek that perfect three stone engagement ring. Visit one of our store locations and discover the vast variety that awaits, along with our exceptional customer service and attention to detail.